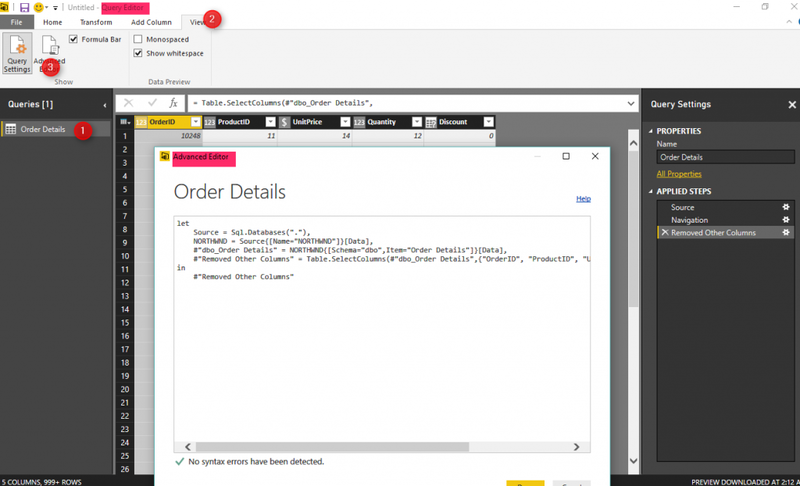 A major part of the ‘power’ which Power BI offers, can be attributed to a powerful self-service ETL tool in Power BI, called Power Query or the otherwise known as the ‘Edit Query’ functionality in Power BI desktop. With a simple GUI, it can consume data from almost all data sources, offers options to clean and mashup data, and with a few mouse clicks, and no knowledge about programming required, your data can be transformed as required. 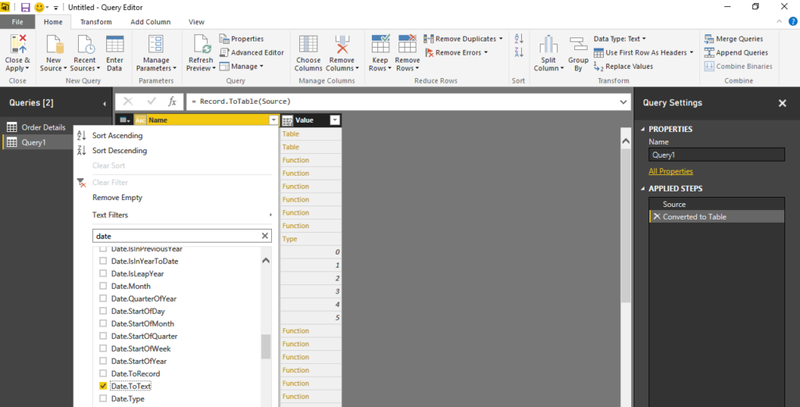 Steps: Power BI Desktop > Home tab > Edit Queries > select one of your queries > View tab > Advance Editor > a new popup window will open with the M-code of the selected query. 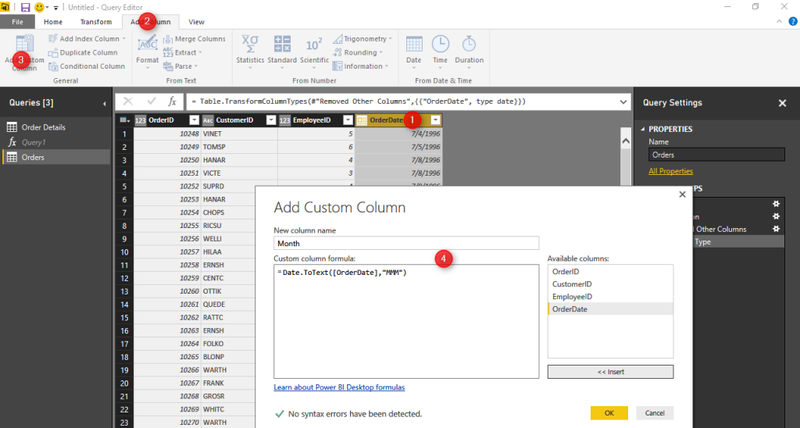 Power query has an easy to use and powerful GUI tool, however, what if we have a custom requirement in our data preparation? 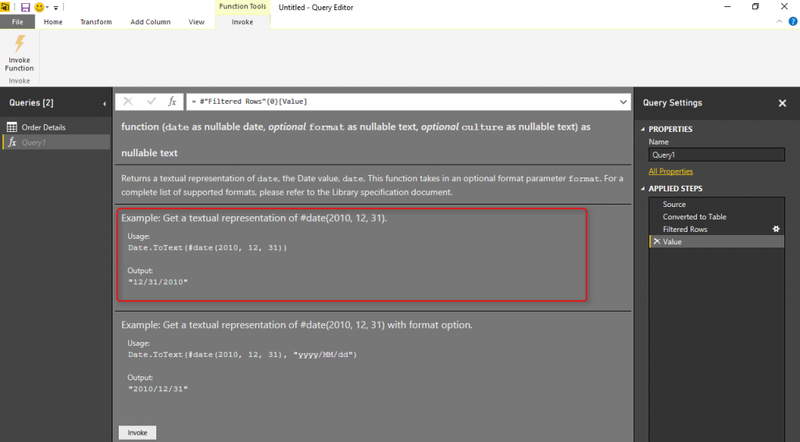 In my previous two posts, Sort by Month Name and Calculating Year to Date Values, I showed various ways how to build a calendar table in Power BI Desktop using DAX code. I also hinted on my preferred way to do this, via Power Query. Let’s take a look at how we can find out more about, and use, the Power Query M language. For example, if we only have a date field in our dataset and want an additional field which displays the short month name (Jan, Feb…Dec) derived from the date column. As there’s no direct button to click for achieving this, in this scenario, we will add a custom column and use some M Code. Before we do this, let’s take a look at some of the M functions. Create a blank query and type =#shared in the formula bar. This will provide a list of all the M code functions available. As per out scenario, let’s take a look at how to find the required function, deriving the short month name. After this, click on ‘Function’ from the ‘Value’ column this will open the new window with the function detail and how to use it. As you can see, the associated information is displayed. I previously mention that it is currently quicker to build a calendar table in Power Query than it is using DAX, however, doing each additional column this way does not seem quicker. The beauty here is, once you have built a calendar table the way you want it, the next time you need one, you can simply copy the query code and paste it into the advanced editor window and ‘BANG’ the complete calendar table will be generated. In a previous post, I showed how to create a dynamic calendar table using the ‘CALENDARAUTO’ function, and mentioned that this could be done in Power Query too. For more insights into getting the most out of Power BI, stay tuned for our next Power BI Tip… Until then happy reporting!